Do you really need gutters? Gutters are necessary to direct water away from the roofing structure as well as the home itself. Now, not all homes need gutters, but anyone in the DFW area knows how bad storms can get around here. Having a quality and reliable gutter system can be critical. That quality gutter system is there to protect the safety and structure of your home from severe water damage. When you are considering installing gutters in Dallas, TX, rely on Legends Roofing. We are the local roofing company with years of experience. And we have extensive knowledge of gutters with screens. Let us install new gutters for your home or office today. Call us at 214-321-3293 to schedule an appointment. If you are going back and forth between installing gutters or not, it’s important to look at all sides, beginning with the types of gutters available. There are several different options, some better than others. Ultimately it will come down to what you are willing to pay, what will do the best job, and what will look the best with your home. When you want a quality gutter installation for Dallas, TX, contact Legends Roofing. We specialize in gutter installations, including gutters with screens. Whatever your needs are, we’ll go over everything with you, including the types of gutters and what their benefits are. When looking into gutters for your home, there are several styles and materials out there. In terms of style, there are about 4 distinct options that are most considered by homeowners. K-Style Profile Gutters: The most popular and most used option for gutters today. These gutters are popular because of their decorative appearance. They are a little more rounded and have a look similar to crown molding. Half-Rounded Gutters: Half-rounded gutters offer a unique appearance to homes without being overly flashy. They not only come in a variety of styles, but materials and finishes. This particular option is great for homeowners that want a lot of options when it comes to their gutters. Seamless Gutters: Seamless gutters are what they sound like. 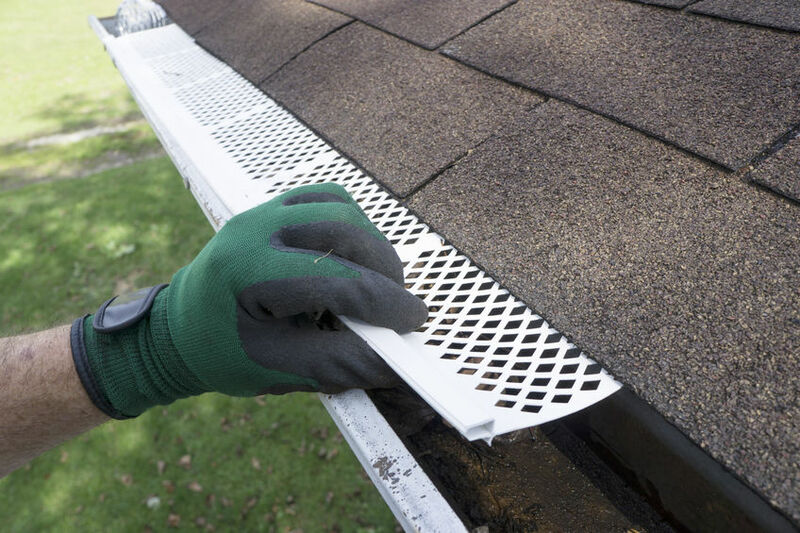 They look like regular gutters, but there is usually a screen or a cover over a large portion of the gutters. This prevents debris, leaves, and more from clogging the gutters. Additionally, seamless gutters create smooth, even lines along a roof line. Fascia Gutters: This option is great for homes that do not have fascia already installed because they do the double-duty acting as gutter and fascia. Fascia gutters create a smooth line along roof lines, like seamless gutters. Though they are not commonly used, they are still considered a good option. Any of the material options listed will last a while and can withstand a certain amount of damage. These materials have been used for many years and are popular with both home and business owners. Plus, any of the material options listed can be installed by Legends Roofing. Really, there are many benefits to installing gutters on your home. 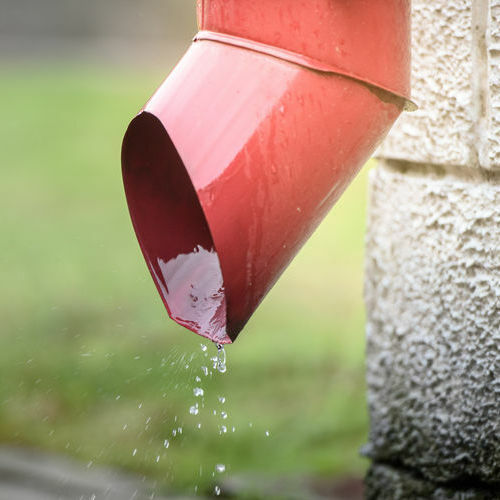 Gutters help prevent bigger problems from occurring, like having a regular sewer inspection scheduled for your property. There are greater cost-benefits to installing gutters in Dallas, TX than to not have them. Which type of gutter is best? It really depends on your home and where you live. In most cases, aluminum K-style or even seamless gutters are a great investment for homeowners. Yes, gutters should be level front to back. If they are not, they will not effectively direct water away from the roof and home. On the ends, however, gutters do need to be pitched to direct water down and out. It will vary depending on the installation company, but the national average is about $820 for 140 sq feet of seamless gutters. Do gutters increase home value? They do! Gutters add value because of their design, protecting structural integrity. Is standing water normal in gutters? No, it is not. Standing water is an indication of clogs and backups in the gutters. When that happens, water is not effectively being directed away from the roof and can lead to damage. When you need fast and easy gutter installation, contact Legends Roofing. We are the leading roofing company in your area. Our team has the skills and knowledge to provide quality service at a low price. 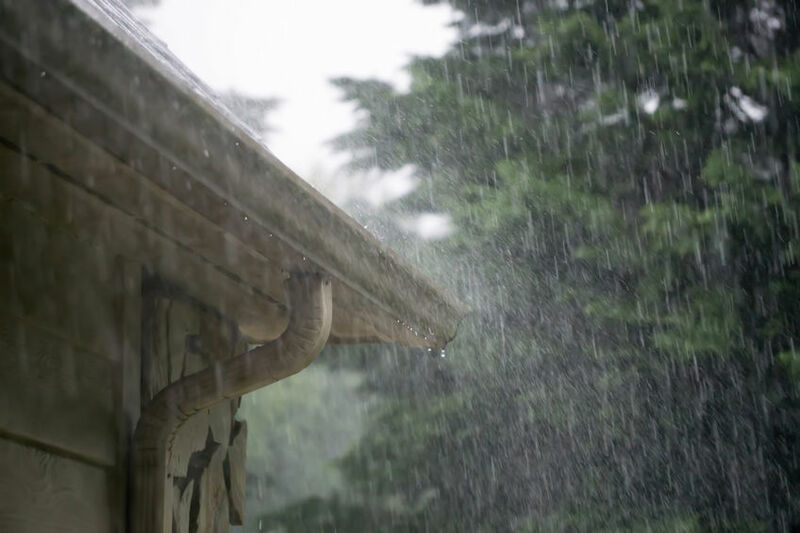 Call us today at 214-321-3293 to schedule an appointment to install gutters in Dallas, TX or the surrounding areas. Posted in Uncategorized on April 22, 2019 at 6:52 pm by Legends Roofing. Is EPDM Roofing Any Good? EPDM has been used as a roofing solution since the 1960s and are still being used today! With the advent of new roofing materials out there, it’s good to know that certain roofing materials are tried and true as options to fall back and rely on. Their sustainability in use is due to their relatively inexpensive nature, lack of odors or fumes, easy and fairly clean installations in comparison to other roofing materials. Most often you will this type of material on Commercial roofing or industrial roofs as they are typically placed on flat or low profile roofs. If you’re considering roofing materials for your property, its best to consider EPDM roofing installation specifications in order to see if they are a good fit. Here we’ll take a look into the background and information available regarding EPDM roofs so you may be able to see if an EPDM roofing installation is right for you! EPDM roofing is made up of durable synthetic rubber roofing membranes like (ethylene propylene diene terpolymer) with it’s two primary ingredients being propylene and ethylene which are made from natural gas and oil. EPDM can be reinforced or unreinforced, which are both commonly used, as well as cured (vulcanized) or uncured (non-vulcanized) with the later most used for flashing. They come in various widths from 7.5 feet to 50 feet with a thickness of either 45 or 60 mils. Color options are limited to white and black. Does EPDM have to be glued down? Installation of EPDM roofing systems can be fully adhered, loose-laid, mechanically attached or ballasted. With adhering, the seams of the roofing system are sealed with liquid adhesives or specially formulated tape. Fully adhered EPDM roofing installations typically use solvent-based or water-based adhesives to glue down the rubber to the substrate. EPDM roofing installations are usually not done mechanically yet they can be done in this manner if so desired. If they are mechanically fastened they’ll require manufacturer approval for their mechanical substrate. With these types of installations, you’ll have loosely laid membranes with only the perimeters and penetrations being secured. Afterwards, round river rock or concrete pavers are used a ballast to hold the roofing materials into place. Can you use EPDM on a pitched roof? EPDM roofing installations can be used for low pitched roofs as, unlike other roofing materials, rubber EPDM membrane roofing installations are versatile and can be installed in conjunction with a range of angles and surfaces. EPDM roofing installations can cost anywhere between $5-$8 per square foot. The cost can be higher or lower depending on the number of roof penetrations, insulation layers, or the removal of the existing roof. How long do EPDM roofs last? The life expectancy of EPDM roofing installation is 22-35 years, some say 12-25 years and some even go as far to toot that they can last up to 50 years or more. Ultimately, it all depends on the manufacturer you go with. Is TPO better than EPDM? TPO membranes are similar to EPDM in that they are made from rubber but they have different fillers added to them to reinforce the TPO membrane’s durability and strength. TPO is made of ethylene propylene and uses a chemical to bind them together with numerous filler materials added such as fiberglass, talc or carbon fillers. Essentially, TPO roofing materials came after EPDM roofing in order to design them with the advantages of a rubber roof with hot air-weldable seams for added durability. Both roofing materials are popular choices and can be used for commercial buildings. 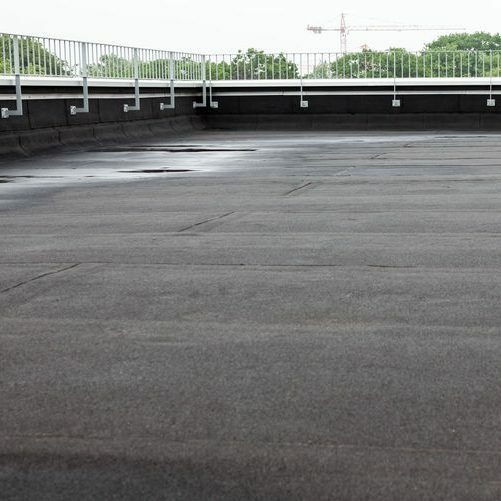 EPDM roofing installations have several advantages that can make them the right choice for your commercial roof. They’re low in cost and easy to install so you can get them done in a fairly quick amount of time. What’s more, they are lightweight and won’t need any kind of reinforcement to keep them steady. They don’t scratch or scuff up easily (Tree planting) and if there is a leak or any other damages present they can be easily repaired or replaced. They also hold up well in sunny climates and don’t get easily damaged by UV rays. Depending on the specifications of your roof, see if EPDM roofing installations are right for you! Give your local Commercial roofing contractor a call and they’ll be happy to go over details with you for your next roofing installation project! If you’re interested in EPDM roofing installations in Dallas, TX call 214-321-3293 with Legends Roofing! Posted in Uncategorized on February 20, 2019 at 10:59 pm by Legends Roofing. Landscaping is One of the Most Critical Parts of Updating Your Home’s Exterior Design. How can I increase the value of my house? That’s the big question that thousands of homeowners ask themselves every year. While many turn inwards to the bathrooms or kitchen, smart property developers also look outside and consider house exterior renovation. Today, we’ll reveal some excitingly easy exterior updates, plus a few challenging projects for avid home developers. Afterwards, you’ll be inspired to investigate your own creative house makeover! Let’s get started. How do you increase curb appeal on a budget? 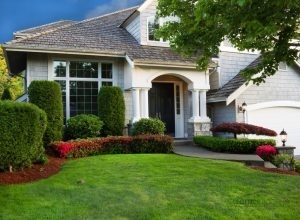 Start by creating a list of home exterior updates and prioritizing. Look for changes that can provide fresh curb appeal for your home without having to knock anything down. Landscaping updates have the largest visual impact on your home’s perceived value, but there are many small ways to touch up the place. You’ll also want to consider the time investment of each project. Below, we’ve separated some of the most popular updates based on difficulty. Even a Simple, Clean Landscaping Design Will Complement the Rest of Your Homes Exterior Updates. Does landscaping increase property value? Absolutely! In fact, many property developers agree that strong landscaping work can increase the perceived value of your house up to 15%. With the exception of your trees, your landscaping should gradually descend from the roof of the house down to the street. If your plants currently feel scattered around the front porch, consider building a fresh path with secondhand stone tiles and gravel. Don’t be afraid to let the walkway wind it’s way across the lawn. This path will be a great tool for coordinating your plants. For added pizzazz, you can mix your basic green plants with colorful flowers and contrasting bushes or shrubs. Make sure all your plants are properly trimmed; wild growth makes a home appear less cared for. There’s one last touch that most homeowners don’t even think of: flower boxes. These mesh especially well with shuttered windows, and they create an inviting pop of color. Try your local antique sales store for some fun box ideas! The front door is one of the first elements of your home design to greet your visitors, so that’s a great place to start. Does your door have a bland or faded paint color? 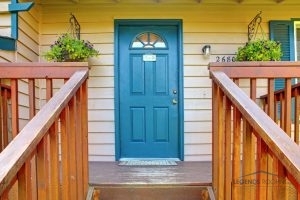 Repaint it using a fresh color that stands out from the surrounding porch area. You can also work the trim to make your door pop out. For a finishing touch, consider replacing your door hardware with flashy new handle and lock. Add a couple of potted plants at the at beginning of the walkway to breath fresh life onto the porch! Most important of all: ensure that your exterior lighting is properly illuminating the porch area. Dreary lighting makes the front porch feel insecure, but vibrant light fixtures will make the space appear larger and friendlier. If you want to take the concept even further, consider installing some lights along the pathway and across the landscape. We’re not talking about replacing the roof, though a haggard roof will definitely drag down the value of an otherwise beautiful property. Start the second stage of your exterior house remodel by examining the siding. Does the paint color clash with the rest of your home, or has it faded to an unsightly hue? If so, it’s time to powerwash the siding and apply a new coat of paint! While they aren’t for everyone, wooden shutters can create a eye-catching contrast with the surrounding siding. They don’t have to be expensive either. There are plenty of online guides to help you craft your own gorgeous design. Gorgeous Cedar Railing Draws the Eyes Towards the Front Door and Accents its Color. 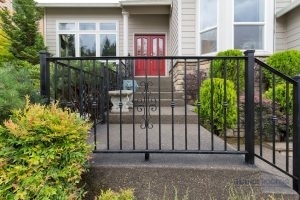 If your property contains steps leading up to the front door, a new railing can spice up the walkway. Natural wood provides a rustic look that complements most color schemes. You can modernize a wooden design with metal bars, though that might get a little pricier. For homeowners that have a cluttered, unused garage that they want to clean up, a garage remodel can completely transform the space. While it might not be a purely exterior project, one of the coolest ways to remodel the garage is by turning it into an open studio space with wooden doors! Installing a skylight for natural lighting can turn a dusty garage into one of the hottest areas in the house. For those wondering how to update a brick exterior, you have multiple options. If the brick is badly faded, a limewash or latex paint over the entire siding will create a lovely whitewashed appearance. It’s a classy look that imitates aged brick from European townships. You can also produce a mixed brick design through a German Smear, though you’d want a professional to complete the work. Start Updating Your Home Exterior Today! If your family is looking for home exterior updates on a budget, our team would love to help however we can! Our Legends Roofing metal roof replacement provides long-term weather resistance and outstanding energy-efficiency. Talk with one of our professionals today at 214-321-3293! Posted in Uncategorized on December 19, 2018 at 10:21 pm by Legends Roofing. When Remodeling My Home, Where Should I Start? Homes are obviously well-lived in, so it is understandable that over time, rooms are going to start showing their age or running out of space to store items. That is why many homeowners opt to remodel their home. Not only does your outdated bathroom or kitchen get to stay in touch with the times, but homeowners can customize these well-used rooms to their liking! Call Legends Roofing at 214-321-3293 and have our home remodeling contractors in Dallas, TX come and restyle your home! For Interior or Exterior Home Remodeling Services, Call Our Home Remodeling Contractors Today! You have probably heard the terms home remodel, restoration, and renovation used interchangeably. But they are not the same things. So, what is the difference between a remodel and a renovation? A renovation is just restyling the surface and making cosmetic changes to make the home appear different. An example of a home renovation would be something like painting the walls a new color or replacing your tub for a shower/tub hybrid, but the plumbing stays in the same place. Home remodeling involves demolition of the home to physically change the structure and move it around. This could mean extending a room, or rearranging your entire kitchen by switching up the plumbing system so your fridge is closer to the stove. Where with home renovation and restoration, these home repairs can be performed by handy DIY homeowners, home remodeling is a much bigger project and requires professional assistance along with permits for construction. What Does Home Remodeling Mean? Remodeling means replacing old and broken parts of your home with new ones by tearing them down. For example, if your foundation is severely cracked, replacing it requires destroying the floors in order to remove the slab underneath. Or if the ceilings are too low, then they have to be knocked out and the floor above has to be raised and rebuilt. With home remodeling, you are finally able to customize your home how you want it, not how you bought it. Very rarely do homeowners love everything about the pre-installed house they bought. Maybe you wish the bathroom was bigger, or that there was an additional garage. Well, now you can have those when you remodel your home! Not only do you get the upgraded room or home of your dreams with home remodeling, but your property value increases, as well! This is beneficial if you ever decide to sell your home, as home buyers prefer newly installed appliances and modern aesthetics over decades-old decor. Also, since home remodeling means constructing entirely new rooms, you are able to save money by upgrading to better energy efficient appliances like HVAC systems, windows, roofs, and more! Cost is always at the forefront of everyone’s mind whenever they take on a home repair project. While home renovation is definitely the cheapest route to start with, it can end up costing you more in the long run. That is because renovating does not extend the space, so if your home ends up getting cramped years later, more repairs like expanding the home are needed. Home remodeling is a good budget friendly choice if you are focusing on remodeling a few rooms. If you are looking to renovate an entire house, it is more affordable to build your own dream home from scratch. Installing an island with a dining bar in the middle of the kitchen so there is extra seating and counter space. Add a shower with a built in corner seat so you can turn your everyday chore into a relaxing sauna. Lower your living room to create an inviting little couch pit that is perfect for movie nights! Turn your attic into a loft bedroom. Add a balcony to your master bedroom. Adding a garden to your home is a great way to not only utilize unused space, but to enhance curb appeal. You can get a gate service in DFW to install fencing around your garden. Raise your home’s foundation! Not only does that allow you to repair the foundation and plumbing, but you have enough room to install a wraparound porch now! Build a screened porch or sunroom! Adding a fresh coat of paint to your home’s siding is a quick renovation method that really helps to make your home look brand new. Whether you are remodeling your home for a boost in curb appeal or easier maintenance, the home remodeling contractors at Legends Roofing are here to help you get the redesigned home of your dreams. We are the premier Dallas/Fort Worth remodeling company in the area and offer both interior and exterior services. For home remodeling services in Dallas, TX, call us at 214-321-3293. Posted in Uncategorized on October 22, 2018 at 9:36 pm by Legends Roofing. Roof replacements may be something you have to deal with in your lifetime. Hopefully, no more than once because they can be very expensive and a pain, depending on when you get it done. The problem is, that when your roof is ready for one, it is something you probably will need right away. When damage happens or time has taken its toll, your roof can be opened up to potential water damage. If you have gotten water damage, we need to make sure that it doesn’t keep happening because it can end up ruining your home and your roof. A roof replacement can be great though. It gives you an opportunity to choose a new roof and make some changes to your home. Roof Replacements Can Be Done By Our Professionals. Mold – Once you have mold and you don’t take care of it, it will spread. This is something you need to take care of so that it doesn’t take over your roof and end up inside of your home. Constant Repairs – Have you found yourself calling the repairman over and over to come out and fix your roof. Maybe it is time for a whole new roof altogether. Age – Once you start getting around or past the time that the roof said it would originally last for, it may be time to just think about getting a new one. This will help prevent damage from occurring and if you need a new one anyway, might as well just take the plunge. 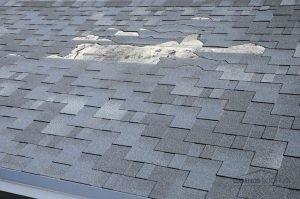 Falling Apart – When your shingles start to fall off in large quantities, it might be because the roof needs to be replaced. If you need a roof replacement in Dallas, TX, call Legends Roofing at 214-321-3293. Posted in Uncategorized on September 17, 2018 at 8:08 pm by Legends Roofing. Choose The Best Roofing Material For You. With all of the different types of roofing out there to choose from, it can be overwhelming to try to figure out what kinds to get. You have to think long and hard before you make the commitment to one because the investment is so large. Doing your research and seeing what is popular vs. what will work best with your home, is the key to making sure your roofing is exactly what you want. There are so many options to choose from, one of them being copper roofing, which is very popular on an awning and some small roofs. Below are a few common types of roofing that are found for a lot of different types of buildings and homes. Slate – Slate roofing is the crème de la crème of roofing materials. 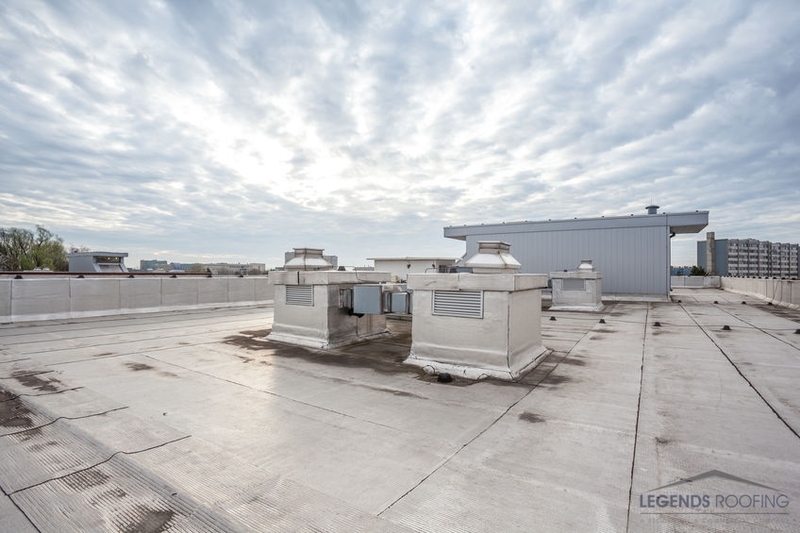 Not only does it look really great on a roof, but it also can last over 100 years on your roof. This means that if you get it once, you will never have to have slate installation again. 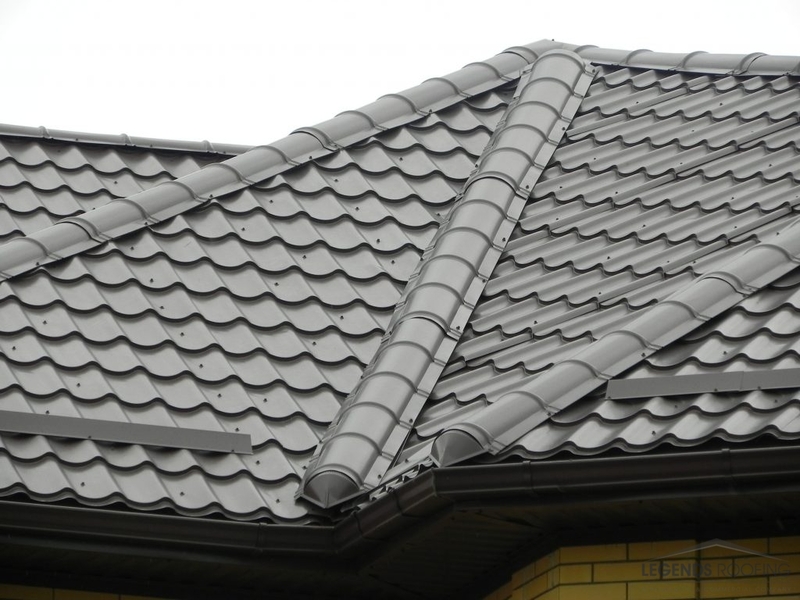 Metal Shingles – Metal shingles are great because they come in a variety of colors and are strong enough to be able to withstand heavy weather like rain, strong winds, and hail with ease. They are also a lot thicker than traditional shingles as well. Stone Coated – Stone coated steel is a nice way to keep your home protected and also have the appearance of textured roofing. This will keep you with a roof that is strong and dependable but doesn’t give an industrial feel to it. Roof Coatings – Roof coatings are nice to have because they go over the roof you already have and keep it protected an extra amount of time. This is good if you have a flat roof that is prone to water damage. If you have questions about any kind of roofing materials, give Legends Roofing a call at 214-321-3293 and let us handle all your roofing needs in Dallas, TX. Posted in Uncategorized on August 14, 2018 at 7:15 pm by Legends Roofing. 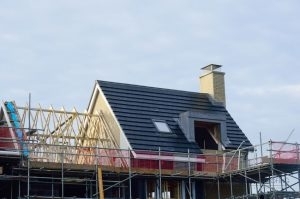 When it is time to put a new roof on your home or commercial building, you will want to pay attention to a few extra things than you normally would when making a large purchase. Because this is such a big commitment and investment, you want to know that this is going to last and that it will be the best for you all around. Here are a few things that you can do first, to make sure that you are getting the best roof possible for you. Call Us With Any Roofing Questions. Research – The best thing that you can do is to do your research on pricing. Figure of what the square footage is going to be that will need to be covered and look online to find what good and realistic prices per square foot will be. When you speak to a roofing contractor, remember that if it sounds too good to be true, it probably means that it is. In the situation of roofing, you definitely get what you pay for so be careful. Budget – Know ahead of time what you can and cannot afford. It is better to go into it with a set budget than to start looking and not know what you will be able to afford. This will also help you to decide what kind of roofing material you can get as well. If you need to know what kind of roofing will work best or have any kind of roofing questions at all, give Legends Roofing a call at 214-321-3293 and let us help you. Posted in Uncategorized on July 11, 2018 at 6:17 pm by Legends Roofing. Filing an Insurance Claim Does Not Have To Be Tricky! Follow Our Tips. When storms roll in, there is a chance they could damage your roof, leading to leaks, wear, and other damage. As a homeowner, you need your roof to protect your property from these issues so that you and your loved ones can stay safe and enjoy a comfortable living environment. Damage can be handled through your insurance, however, you may be unsure what to do in the event of needing your insurance. There are a few things you can do to get the ball rolling and be sure you have a complete claim. When you first notice the damage to your roof, there are two things you need to do: take photos and take notes. It is important to document everything relating to the damage, visually and with notation for when you file your claim. Look at the outside of your roof and inside of your attic for leaks, damaged materials, and holes. Take note of any damaged property as well! They may be covered under your insurance policy. When was the last time you read through your coverage listed on your insurance policy? After signing up for insurance, many people do not review their policy information. However, knowing what is covered and what is not covered can better help you file a claim and work with your company to get your roof repaired. Take some time to read over it when you get a chance before you get started on your claim. Once you have compiled the information and reviewed your policy, it is time to file! Use the information to best fill out your claim and speak with your adjuster to have your inspections completed. At this time you may also want to contact an expert roofer to work on your behalf with the insurance company. Legends Roofing provides expert insurance claims assistance for your home. Want to get started on a claim today in Dallas, TX? Give us a call at 214-321-3293! Posted in Uncategorized on June 7, 2018 at 2:30 pm by Legends Roofing. You have a roof installed, but maybe the metal is starting to corrode. Or your roof keeps having to get minor repairs but doesn’t need a full on replacement. Roof coatings are great and affordable protective coverings that go over your already-installed roof to help extend its lifespan up to 10 years. Here are some of the great benefits that roof coatings provide. Roof coatings are typically seen over metal and flat roofs because the original roofs do not age gracefully. The metal can corrode and rust, and flat or gravel roofs are generally used because of how cheap they are, but not because of how pretty they are. Roof coatings can handle foot traffic and extreme weather well. If you walked on a flat roof too much, sinkholes would begin to appear. The coatings can be made out of material like EPDM, polyurea, or rubber. All of these won’t dent from hail or break from strong winds. Roof coatings are oftentimes liquid, so when they dry, they are completely seamless. This leaves no room for water to seep through where it could in the original roofing. The slick surface will also make water roll right off it and not sit stagnant. Roof coatings are oftentimes reflective, helping to lower energy costs. They reflect the sun’s harmful and extremely hot UV rays, helping to cool the building and not make the HVAC system work as hard. Most coverings come in tubs that can be easily bought at home repair stores. Tubs typically cost $100 but some highly rated ones can go up to $1000. This is far cheaper than having to replace an entire roof which can cost a minimum of $20,000. For roof coatings installations in Dallas, TX, contact Legends Roofing at 214-321-3293 today. Posted in Uncategorized on May 1, 2018 at 6:31 pm by Legends Roofing. If you’re like 63 percent of Americans, your home is the most pricey investment you will make in your lifetime. Protect it with the right roofing material. While shingles offer great benefits like affordability, and tile offers overall durability, they can’t compare to the extreme resistance of metal roofs. 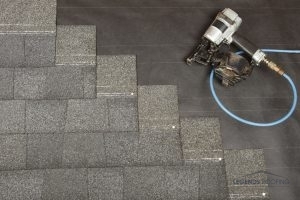 Shingles are super durable when it comes to minor hazards. Tile is great as long as the impact is widespread and your tiles aren’t aged or cracked. Metal roofs, on the other hand, offer unbridled protection in every scenario. Metal Roofing Provides a Long List of Benefits to Your Home. Metal is one of the few roofing materials that actually offers resistance to every type of peril or hazard your roof can be presented with. The strength of the metal protects against the impacts of hail and debris while the tight hold of the seam fasteners eliminates water seepage. With new, coated and protected options, mold, mildew, and even rust are a problem of the past. Not only can this roof protect your home, but it can also protect you. Metal roofing has a top fire safety rating. In fact, you can sometimes receive safety discounts on insurance just for having it installed. All roofing systems claim to be affordable, but with metal, it’s very true. These roofs are slightly more costly to install but come with minimal maintenance and repair requirements. 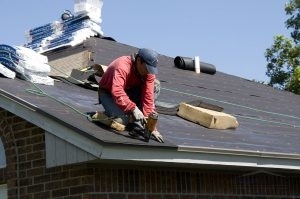 This means you’ll have fewer labor charges throughout the life of your roof. Metal is also a great reflector of UV rays, decrease your energy usage and cost. These roofing systems can also be applied directly over most old systems and can last for up to 50 years, saving you money on tear-off and replacement charges. We all remember the days of silver metal roofing that made homes resemble something out of an old western. While appealing to many, if you didn’t want that particular look for your home, metal was out of the running. Today’s metal choices, however, seem to go on forever and include options that resemble tile, wood, slate, or even standard shingles. If you still prefer metal sheets but want a color that doesn’t make you think of the tin man, you have the ability to choose from almost every color, texture, and tint you can think of. Still like the traditional look of metal? It’s still here, and more durable and long-lasting than ever. Metal roofing is quickly becoming a common household roofing option across the country because of its extreme durability, safety against fire, and affordability. Learn more about how you can benefit from a metal roof by calling the Legends Roofing professionals today at 214-321-3293 to discuss your options. Posted in Uncategorized on March 29, 2018 at 4:29 pm by Legends Roofing.